Professor Dias was instrumental in setting up and running the academic Internet in Sri Lanka (LEARN), starting with Sri Lanka’s first email system in 1990. He led LEARN from 1993 to 2003. Prof. Dias also was founder and first president of the Lanka Academic Network (LAcNet), a nonprofit, volunteer organization of Sri Lankan students, teachers and professionals whose primary mission is to enhance educational opportunities in Sri Lanka by increasing the accessibility of information technology to its students. He earned a B.Sc. in Engineering from the University of Moratuwa, Sri Lanka and a masters and PhD from the University of California. 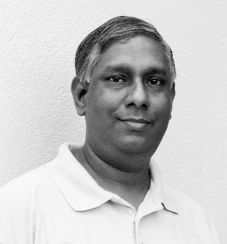 In addition to being a professor in the Department of Computer Science and Engineering at the University of Moratuwa, he initially held the position of Domain Registrar of the .LK Domain Registry, the not-for-profit top-level domain registry for Sri Lanka formed in 1990, and later became its CEO, a title he continues to hold. He has also assisted a number of Internet service providers in setting up their own networks. In 2003 and 2004 he was a founding Program Director of the Information and Communication Technology Agency of Sri Lanka (ICTA), the government body responsible for the development of ICT in the country.